The designers claim that it “is fitted with all essentials necessary for a comfortable prolonged stay without a need to recharge or re-supply.” It has all the comforts of home: a tiny kitchen, a bathroom with toilet and shower, a pullout bed and lots of storage. The space is 4.5 by 2.4 meters (14’7″ by 8′). It’s powered by solar panels integrated into the roof and a 750 Watt wind turbine connected to a 4200 Wh battery bank. The aerodynamic shape is optimized for rainwater collection, which is filtered for use. 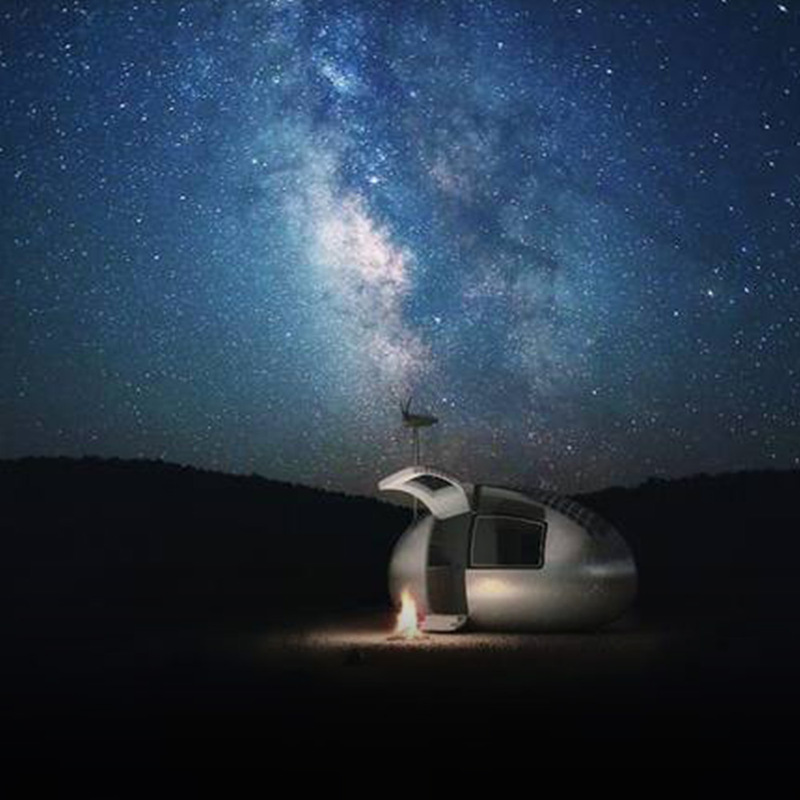 The capsule can offer a long off-grid stay, bringing civilization’s comforts into the wilderness. And there are already ideas about making the capsule on wheels as a trailer for easier transportation. Ecocapsule is a portable house offering an unmatched dwelling experience. With its immense off-grid life span, worldwide portability and flexibility it is suitable for a wide range of applications: from an independent research station or a tourist lodge to an emergency housing or a humanitarian-action unit.